The Court of Appeal has ordered the government to modify a public call it made earlier in the year to launch a fast ferry service between Malta and Gozo. It agreed with Virtu Ferries, which had unsuccessfully made a bid for the contract, that the company awarded the job should be given adequate time – a year – before launching the service. The three-month period mentioned in the original tender could give the incumbent, Gozo Channel, an advantage over prospective competitors, the court, presided over by Chief Justice Joseph Azzopardi, ruled. The court also set the closing date at March 6, 2019, giving time to all interested bidders to make appropriate detailed submissions. However, the Appeal Court did not agree with an argument made by Virtu Ferries, which opened the case against the Transport Ministry and Gozo Channel, that commercial viability of the concession could only be reached if the duration of the tender was longer than the prescribed five years. It felt five years was enough time, even when bearing in mind that the fast ferry service was a new and still untested commercial risk, even for Gozo Channel. In a separate decision, the court rejected a request by Virtu Ferries to refer the case for a preliminary ruling by the European Court of Justice on a matter of interpretation. The Chief Justice noted that the issues raised by Virtu Ferries in its case against Gozo Channel were very clear and, therefore, the court saw no need to obtain an interpretation of EU law. In any case, it added, it was free to refer the matter to the Luxembourg-based court on its own steam should it feel the need to do so. 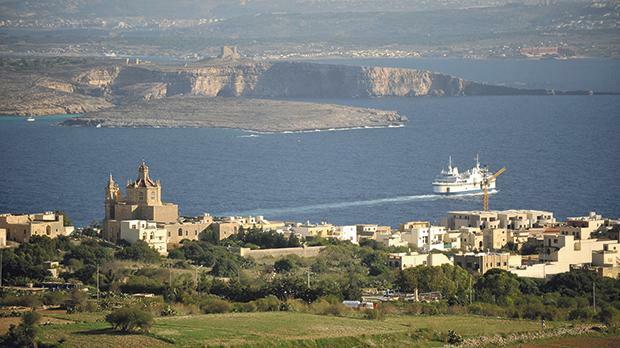 Virtu Ferries instituted a series of legal actions after Gozo Channel selected an “inexperienced company” to act as its partner in the running of a fast ferry service between the two islands. Virtu Ferries, which has been offering catamaran services to Sicily and other countries over the past decades, said the chosen Islands Ferry Network Ltd was formed just days before the closing date of offer. The selected firm is a joint venture between tomato paste producers Magro Brothers and the owners of the Fortina Hotel and Captain Morgan cruises. The Sunday Times of Malta reported that, in July 2017, Gozo Channel had ignored recommendations by a board of evaluators to partner with Virtu Ferries, which had submitted the best offer. Gozo Channel had annulled the original call and issued a fresh one. Gozo Channel also appointed another evaluation committee, headed by Joseph Cuschieri, later handpicked by the Office of the Prime Minister to become CEO at the Malta Financial Services Authority. This board chose Island Ferries Network as the best option for Gozo Channel. Islands Ferries Network insists it has the necessary experience and the best offer to serve as Gozo Channel’s partner.